If you have a child involved in sports, this will be the most important article you read this year. Concussions are brain injuries  and are ravaging the nation, from little leagues to professionals. Because we work with people who have suffered brain injuries, and have devoted our professional lives to advocate on their behalf, we cannot stress enough the importance of what we will tell you. We want to help parents like you reduce the problems caused by concussions and be a voice for brain injury victims. What Preventive Steps Can Be Taken? Pre-Season? While concussions have been a huge topic, we’re finding that parents have been provided a false sense of security and misinformation about its dangers and repercussions. The brain floats within the skull cavity. Concussions happen when the brain rapidly moves within the skull, either in a whipping back and forth or a rotational motion. These motions can occur regardless of whether the skull itself strikes an object. While much is still unknown regarding brain injuries, the last decade has brought many advancements in our knowledge in recognizing and treating brain injuries. Your child’s future is at stake. Although we are not medical experts, in our role as brain injury advocates, we work cooperatively with the medical profession to understand how brain damage takes place and its consequences. Our experience is working with victims of a brain injury and helping them to put the pieces back together, which involves guiding victims and their family in their search for qualified medical and rehabilitation professionals, investigating the cause of the traumatic brain injury and those responsible, and explaining to others the frustration and long-term problems caused by this injury. Here is important information from reputable sources such as the Centers for Disease Control and Prevention (CDC) , the National Institutes of Health , the American Academy of Neurology , and The American Congress of Rehabilitation Medicine . This is not meant to be a complete summary of concussion knowledge. Our goal is to equip you with essential information so you can recognize the signs and symptoms of a concussion and take the essential steps necessary to improve your child’s chances of a good recovery. Contact your physician and report these symptoms if you suspect a concussion. The sooner a concussion is recognized, the better your chances of avoiding secondary injury and achieving a full recovery. Brain injury is an invisible injury. Children and adults often feel isolated, frustrated, and angry because their complaints are met with skepticism from family and friends. The symptoms experienced by those who suffer a concussion are real. 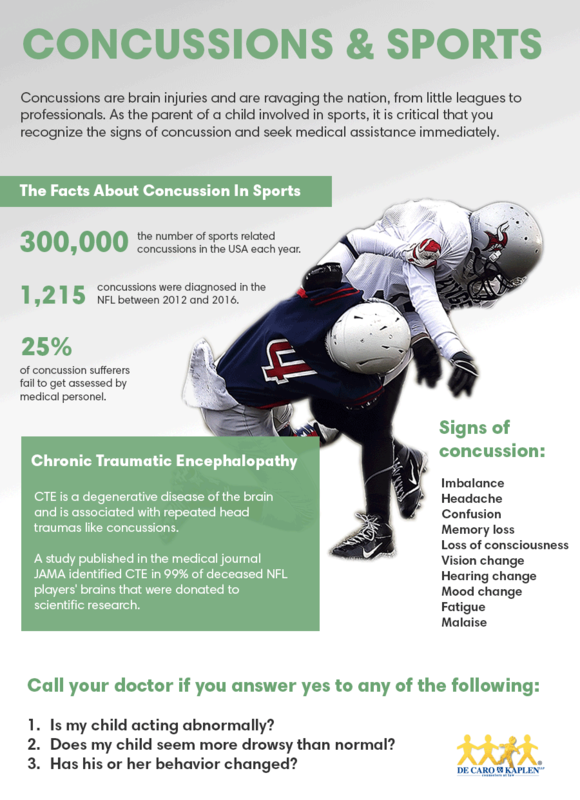 Unfortunately, the public has many misconceptions about concussion and brain injury. It is useful to think of the nerve fibers within the brain as telephone wires. These wires control the flow of information within the brain, our emotions, and behavior. A concussion damages these wires which require time to heal, reconnect, and re-wire. Initially, it’s imperative, that a person who sustains a concussion rest (and that means no TV, reading, video games, etc.) so the brain can begin the process of healing. Following the initial recovery stage, gradual return to activities is possible. But, this gradual increase in activities cannot take place before symptoms subside. A concussion victim must be cleared by a trained professional before returning to sporting or school activities. This must be carefully supervised to prevent aggravation of an individual’s problems and prevent further injury from taking place. Gradual return to play and to school can take days, weeks, or months (while in some very unfortunate cases, there is no full recovery). It is important not to rush the process. Be aware and report to your physician any new symptoms that may develop or old symptoms that reappear while increasing the level of activity. Having worked with brain injury victims for over thirty-five years, we’ve seen how many people just don’t believe that an injury to the brain could have occurred from a minor collision, when there is no loss of consciousness, or when there is no physical contact with the skull. Following a concussion, individuals may appear to be normal because there are no visible signs of brain injury. Unfortunately, the public believes that they are able to determine if a person has a brain injury, merely by observation. But, a brain injury is not a broken bone, and brain injury victims do not always have physical symptoms or require assistive devices like a cane or a wheel chair. How could what appears on the surface to be a trivial event result in a person’s life being turned upside down? Damage to the outside does not equate with damage to the inside. It’s not about how hard you are hit, but rather how your brain moves inside the skull. There are many bio-mechanical factors at work that cause injury within the brain when it twists, turns, and brushes up against the hard ridges and protrusions within the skull. Minor impact can cause major injury to the brain affecting the individual’s ability to do the most basic tasks. One of the most dramatic examples of this is how simple fender benders have devastated people’s lives. Little or no damage occurs to the bumper, individuals may have struck their head within the vehicle, and may have exited the vehicle moments after impact appearing to be entirely normal. But as we’ve seen, an individual involved in a fender bender can sustain permanent damage to his or her brain, resulting in permanent changes to his or her life. So, if there’s one thing we want you to walk away with today is that you must take every concussion seriously, no matter how minor the event seemed. If your child is displaying any signs of concussion, call your medical professionals immediately. Concussions are a part of sports and we are still learning the full impact on our youth. While we may debate the merits of allowing children to play tackle football or head a soccer ball; without question, parents, and children should know the risks of concussions and concussion symptoms. Parents must discuss the common symptoms associated with concussions and use age appropriate language. Concepts such as being “foggy or confused” may be appropriate for high school athletes, but are meaningless to a five-year-old. For younger children, parents should discuss common complaints such as headaches, dizziness, or feeling like you want to throw up. Cognitive problems can be couched in terms of problems with school and home work. Parents should emphasize that if recognized and treated, symptoms usually clear up, and they may go back to sports. Remind your child that severe consequences can occur when people try to play through their symptoms, don’t report them, and don’t get the proper rest. Concussions can occur in low-impact and high-impact sports such as such as ice hockey, football, boxing, wrestling, soccer, volleyball, basketball, baseball, softball, cheerleading, mixed martial arts, skateboarding, and tennis. Any time an activity carries the risk of sudden jolts to the body or head, your brain is at risk of a concussion. Sideline evaluations are necessary immediately following any suspected concussion. Any time a concussion is suspected, a sideline evaluation must be conducted by a trained professional. Check with your child’s school to make sure they have procedures in place. How do they recognize a concussion? Who is in charge of assessing athletes following a hit in the game (or in practice)? What do they look for? All children should receive baseline testing before the start of the athletic season to record their cognitive performance. This baseline test provides an important means of comparing how the brain is functioning following a concussion or suspected concussion. Following a concussion, the athlete should be retested. This retesting and comparison with pre-injury test results is an important way of determining the healing process, including when it is safe and appropriate to return to play and to school. A child can report he or she is symptom free, yet still perform poorly on these tests, requiring further evaluation before being allowed to return to play. We do not want you to walk away from this filled with anxiety, and we are not discouraging your child’s involvement in sports. Sports play an important role in a child’s physical and emotional development. We want you to see clearly how this can become a severe problem and how you can help your child reduce the likelihood of permanent damage by recognizing concussion signs early. 1.Is my child acting abnormally? 2.Does my child seem more drowsy than normal? 3.Has his or her behavior changed? When in doubt, keep them out! Have your child checked out by a properly trained professional before allowing them to return to play. Discuss the symptoms with the league’s medical expert and call your physician. Just because the symptoms do not reveal themselves immediately does not mean there is any decreased risk. If there is any concern that a concussion has occurred, have your child sit out. If your child is diagnosed with a concussion, follow the regimen from your medical professional. Do not take short cuts and do not allow your child to return to play. Help your child understand the potential severity and equip them to see why he or she must sit out. Remember, if they follow proper rest and recovery protocols from their doctor, they are far more likely to return to the game and not have lasting injuries. May you and your children stay safe and healthy and enjoy the excitement of sports. Shana De Caro and Michael V. Kaplen. 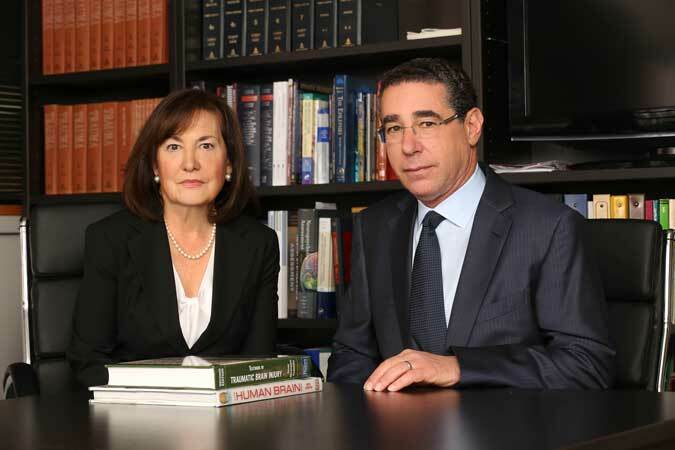 Shana De Caro and Michael V. Kaplen are personal injury attorneys who help brain injury survivors navigate the road map of traumatic brain injury. As lawyers, their job is to recover full and fair compensation for the harms and losses suffered by their clients as a result of someone’s careless or negligent conduct. They are partners in the New York personal injury law firm, De Caro & Kaplen, LLP. Shana and Michael are leaders in the brain injury community. Shana is on the board of the Brain Injury Association of America . Michael is the three-term past president of the Brain Injury Association of New York State . Together, they were the attorneys for the Brain Injury Association of America and authored the brief submitted to the U.S. Supreme Court regarding the NFL class-action concussion settlement, arguing the settlement excludes the vast majority of conditions and consequences of TBI and does not provide effective treatment options for class members . They are Preferred Attorneys for the Brain Injury Association of America . “Brain injury victims are entitled to dignity, respect, and recognition. Unfortunately, this settlement provides none of these,” Michael said. Their opinions on traumatic brain injury are frequently sought by The New York Times, USA Today, The Daily News, Fox News Network, and others. They are widely respected throughout the legal, medical and judicial community. The two regularly lecture across the nation to lawyers, medical professionals, and judges, instructing on how traumatic brain injury cases and clients should be evaluated and handled in and out of the courthouse. Taylor CA, Bell JM, Breiding MJ, Xu L. Traumatic Brain Injury–Related Emergency Department Visits, Hospitalizations, and Deaths — United States, 2007 and 2013. MMWR Surveill Summ 2017;66(No. SS-9):1–16. DOI: http://dx.doi.org/10.15585/mmwr.ss6609a1.